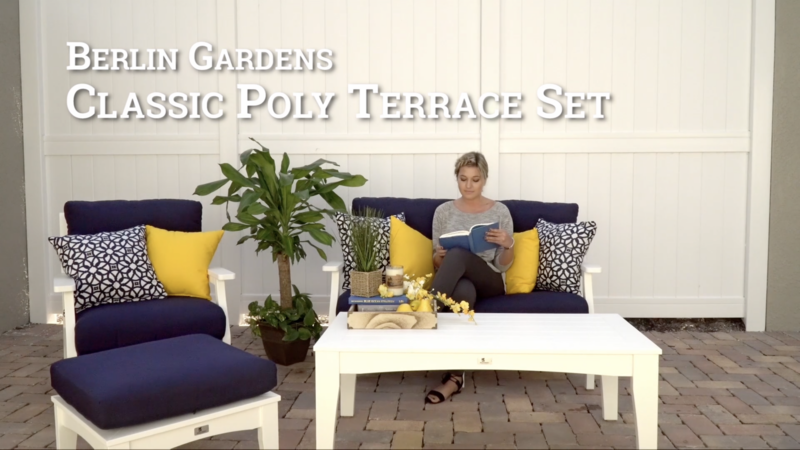 Relax after a long day of work or spend your weekends reading on the Berlin Gardens’ Classic Poly Terrace Set, available from DutchCrafters Amish Furniture. Hand-made in the U.S. from recycled materials, poly furniture is low maintenance, extremely durable, and customizable in an array of colors. Put your feet up, and relax on furniture that is as good for the soul as it is for the environment. Shop here for all our Amish outdoor furniture.